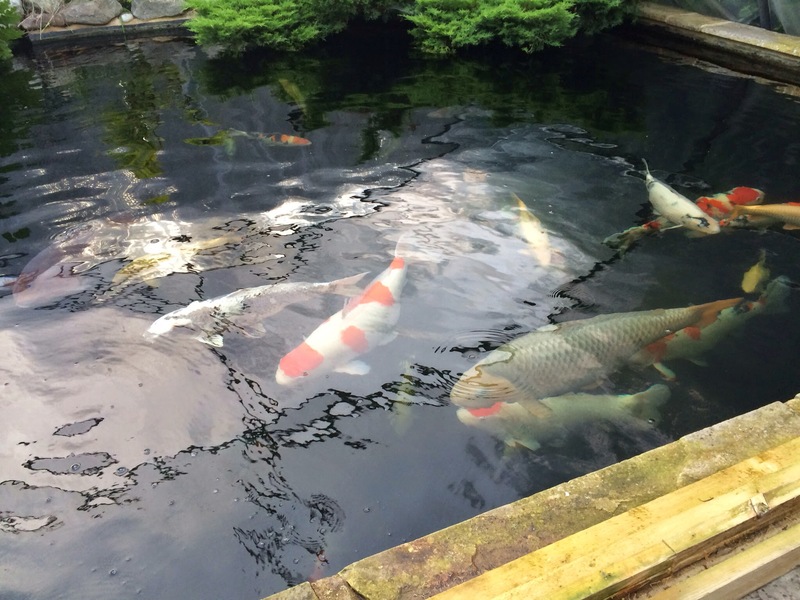 On the 11 June 2014, the club held its first member's pond visit of the year at Nemo's (aka Tony) of KoiKare. 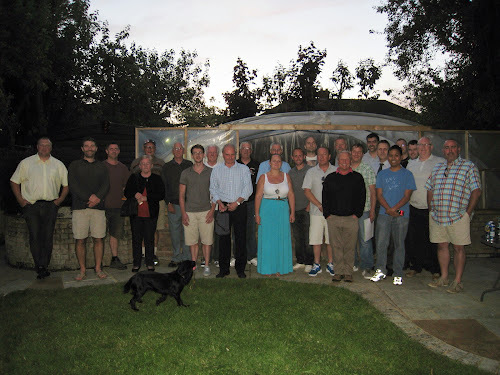 These events are very well supported and this night was no difference with over 30 members joining us. 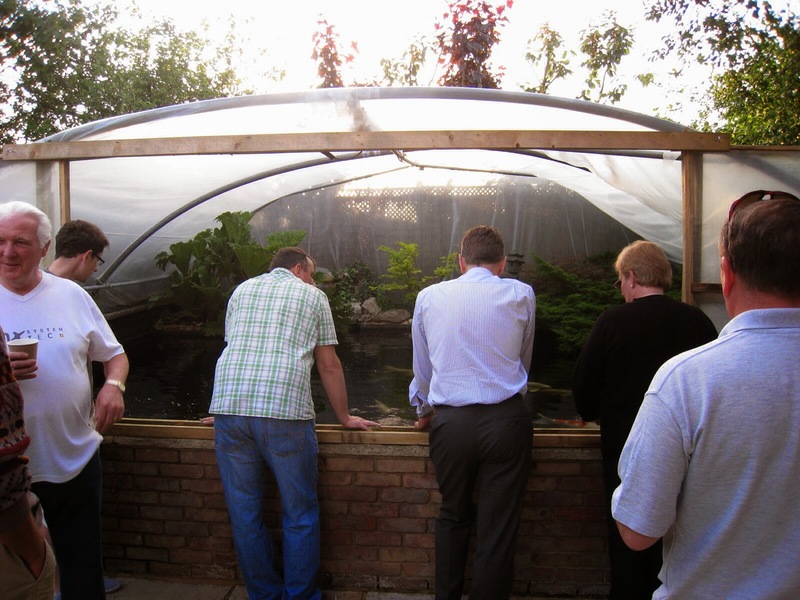 We also had a couple of guest visitors, Mary and Eddie Edwins, from New South Wales, Australia. Eddie was the Chairman of "Koi Australia" for a large number of years so this provided our club members a great insight into koi keeping in Australia. 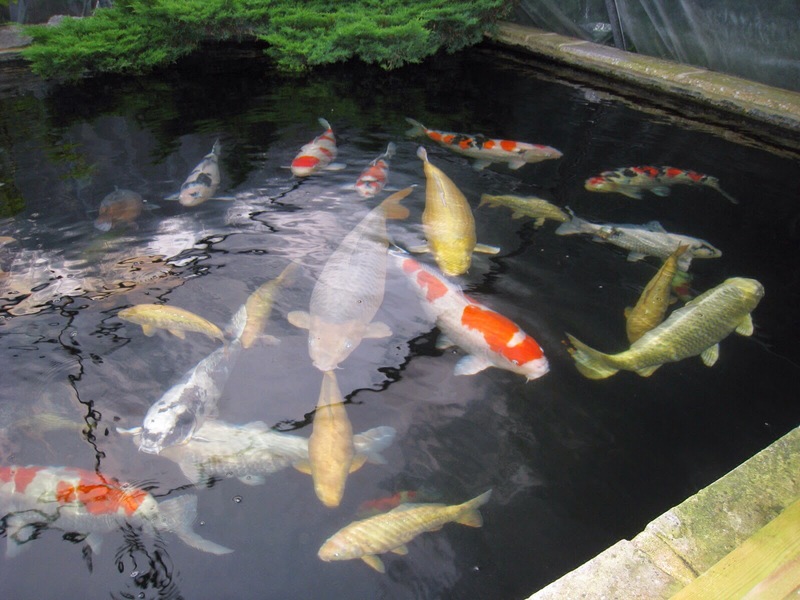 We soon realised how lucky we are in the UK being able to import or koi from the global market (especially Japan and Europe) whereas in Australia this has not been permitted for years so they are reliant upon home breed koi. They were both over in the UK for four weeks so this gave them a really great opportunity to see some breeds they don't have access to and also to see Nemo's fantastic setup. 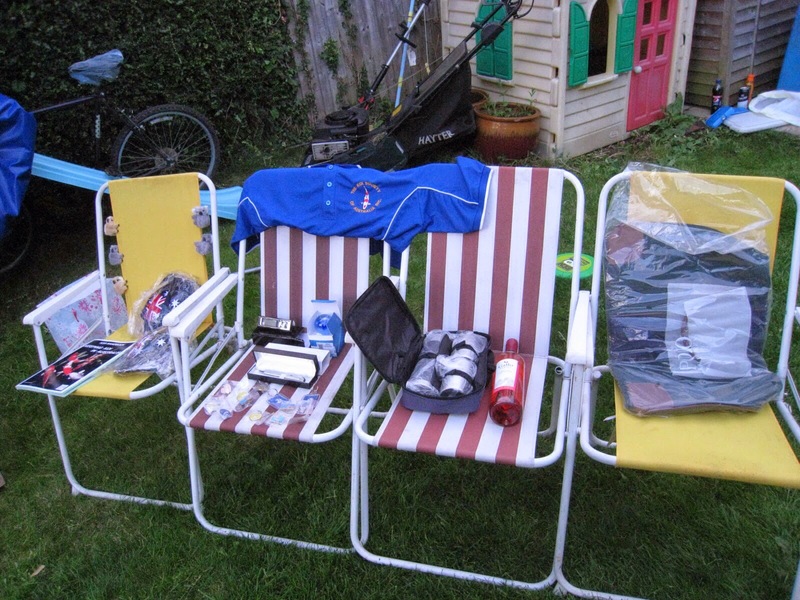 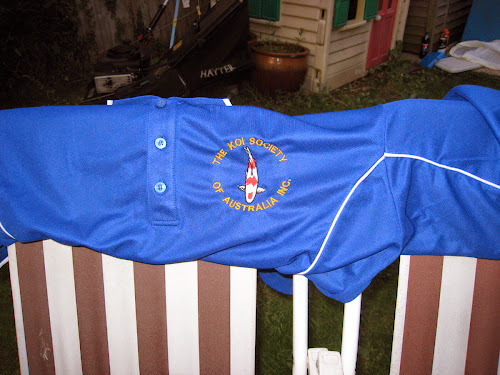 Many thanks to them for bringing some fantastic prizes for our club night raffle because it's not everyday we get the opportunity to win a "Koi Society of Australia Inc" polo shirt or baseball cap. 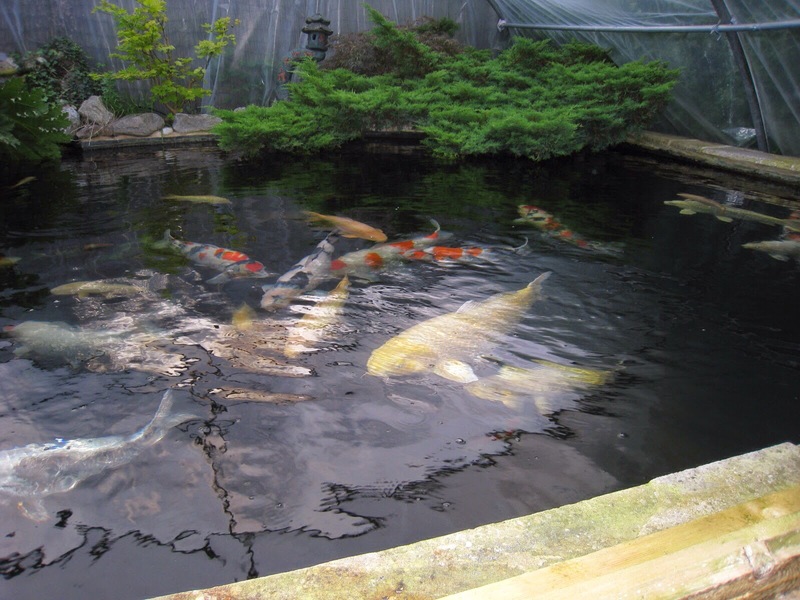 Nemo's stunning pond is 9k gallons, 6ft deep with two bottom drain and a skimmer. 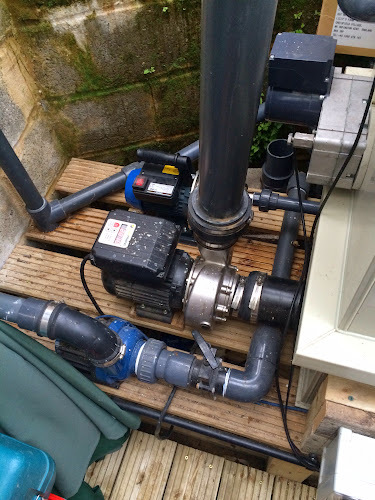 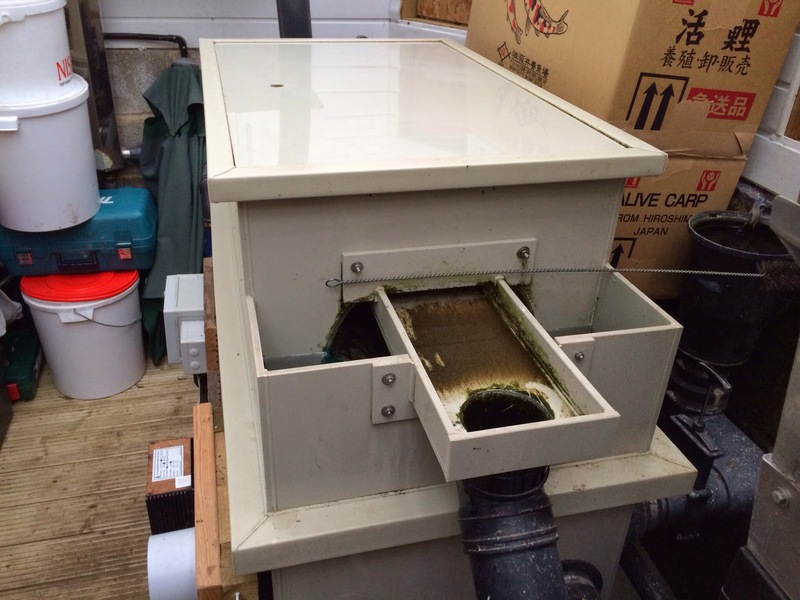 His filtration setup had the bottom drains and skimmer going straight into a large drum, a gas boiler (heating to 23c) and a custom built 4-tier double width bakki shower that is fully loaded with BHM. 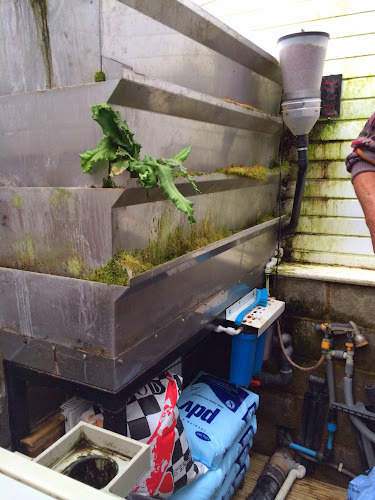 The bakki shower fed back to the pond via a custom built wier return and cleverly he has built his auto feeder (see above) to go into this return flow so it is all nicely hidden away. Nemo is a regular on the koi showing circuit so therefore the size and quality of his koi was of the very highest standard as all the pictures below will show. 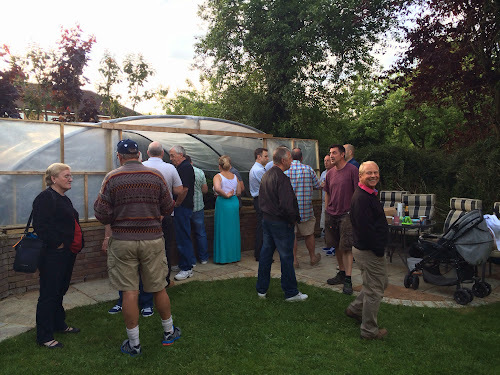 This was a brilliant night and the club would like to pass on our many thanks to Nemo (Tony) for opening up his garden and pond to us all. A really great night.